Alien is partnered with industry leading platform providers to optimize the integration of RFID solutions with enterprise software and hardware infrastructure, and other related business and enterprise applications. Allentown, Inc. is the global leader in research animal housing with over 600 customers and more than 18,000 installations worldwide. For more than 40 years, Allentown has provided quality products and services to the biomedical research community. Checkpoint Systems, Inc., is the leading provider of integrated identification solutions for tracking, securing and merchandising consumer goods. Offering the first complete enterprise RFID/EPC solution for the retail supply chain, Checkpoint Systems is focused on delivering solutions that result in tangible ROIs for its customers. Checkpoint Systems’ identification solutions comply with today’s open, EPC standards; enabling customers to minimize implementation costs and maximize supply chain efficiencies and productivity. Checkpoint’s end-to-end supply chain solutions help apparel and consumer product manufacturers and retailers brand, track and secure goods worldwide. Checkpoint has a presence in more than 50 countries and a global network of 31 service bureaus located in the world’s apparel manufacturing capitals. GlobeRanger is the leading provider of RFID and mobility software solutions. Its innovative platform, iMotion, provides the critical software infrastructure that transforms real-time data, from the edge of the enterprise, into actionable information. iMotion serves as the foundation for GlobeRanger and its partners to rapidly develop, deploy, and manage RFID and mobile applications. HighJump Software® is the leader in providing comprehensive and adaptable supply chain execution solutions that leverage best practices gained from more than 700 successful implementations in some of the most demanding and complex business environments. HighJump’s RFID-enabled product suite includes advanced, tightly integrated solutions for warehouse and yard management, transportation management, supply chain visibility and event management, trading partner enablement/ collaboration, and data collection. HighJump’s solutions combine rich functionality, a proven implementation methodology, unmatched adaptability, and fast upgrades to empower customers with the industry’s lowest total cost of ownership–a value proposition unmatched by any other solution provider. inLogic provides RFID asset tracking software solutions that save time, reduce operating costs, and improve fixed asset visibility for Government, Defense, Aerospace, Research, Education, and private sector organizations. Our commercial off-the-shelf (COTS) software platform, RFTrack.NET, automates fixed asset inventories and audits, locates missing assets, improves asset utilization, and tracks the movement of assets to improve visibility. RFTrack.NET supports passive and active RFID, and is designed to easily integrate with Accounting, Asset Management, and other back-end systems to enable physical tracking of your fixed assets. To learn more about our solutions please email us at sales@inlogic.com or visit our website. KeyTone Technologies is focused on delivering solutions for enabling enterprises with Auto-ID technology. Our goal is to help companies improve their supply chain efficiency and visibility by developing RFID enabled applications and integrating RFID infrastructure with enterprise applications using our RFID application development and deployment platform. Manhattan Associates, Inc., is the global leader in providing supply chain execution solutions. We enable operational excellence through our warehousing and distribution, transportation and trading partner management applications. These integrated solutions leverage state-of-the-art technologies, innovative practices, and our domain expertise to enhance performance, profitability and competitive advantage. Manhattan Associates has licensed more than 870 customers representing more than 1,300 facilities worldwide, which include some of the world’s leading manufacturers, distributors and retailers. 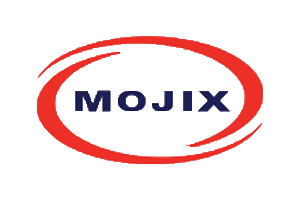 Mojix is a leading connected business solutions company that provides wide-area RFID solutions, IoT software platforms and cloud and mobile development services for IoT and big data applications. We are leaders and innovators in fixed infrastructure sensor networks that collect, store, analyze and interconnect data from multiple sources including RFID, GPS and other sensor devices. Mojix IoT software platforms maximize intelligence at the edge and provide big data scalability. Our solutions feature highly configurable application frameworks and elegant user interfaces with advanced analytics, enabling end-to-end business intelligence and data visibility across multiple industries. Mojix creates efficient and agile enterprises by giving assets a digital voice so users can make data-driven decisions. Provia Software – With over 500 global installations, Provia delivers Supply Chain Execution solutions including RFID-enabled warehousing, transportation, order, and yard management products seamlessly integrated together with web-based visibility tools to create a real-time, end-to-end supply chain execution solution. Companies that have experienced The Power of Delivery from Provia include such enterprise and third-party logistics (3PL) clients as Gillette, Menlo Worldwide, Graybar Electric, US Freightways, Spencer Gifts, Lanier Worldwide, and Owens Corning. RedBite Solutions is a Cambridge(UK) based business that provides a track and trace software platform and solutions to both end-users and partners around the world. The platform is extendable to create solutions utilising a broad range of technologies for a variety of vertical markets. Solutions exists for Asset, Logistics and Warehouse Management The founders have deeply entrenched RFID experience having been involved with the Cambridge University Auto ID Centre and were part of the group that architected the original EPC Network. RedPrairie delivers the industry’s most comprehensive suite of integrated logistics solutions, enabling customers to experience real results that impact the entire supply chain – driving out costs, reducing cycle times and increasing supply chain velocity, while improving quality and customer service. RedPrairie provides a comprehensive suite of RFID-enabled solutions for warehouse, transportation and productivity management, enhanced with components for real-time control and performance measurement. These solutions are deployed through an end-to-end value delivery system (the RedPrairie Approach) that ensures results achievement. RF Code, Inc., founded in 1997, designs, develops and manufactures high-performance, low-cost Active RFID technology for long-range wireless data communications that accurately identify, manage and track physical assets, information and personnel. RF Code offers complete systems comprised of RF tags, readers, antennas and software. In addition, RF Code designs and develops TAVIS , the leading Auto-ID data collection middleware for the enterprise. TAVIS software provides real-time data collection of information from a variety of data collection devices including Active RFID readers, Passive RFID readers, EPC readers, Barcode readers and GPS receivers. 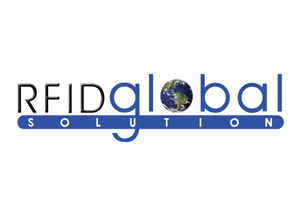 RFID Global Solution, Inc. is a leading provider of asset management software for full lifecycle management of assets for the data center, industrial, and healthcare markets. Visi-Trac, the firm’s enterprise and SaaS software platform, automates and streamlines tracking and managing capital equipment, enabling users to schedule, manage and conduct inventories or audits, and automate security, across multiple facilities on a global scale. mySAP™ Supply Chain Management (mySAP SCM) is part of the family of cross-industry solutions within the mySAP™ Business Suite platform. A leading supply chain management solution, mySAP SCM transforms traditional supply chains from linear, sequential steps into adaptive supply chain networks in which communities of customer-focused companies share knowledge and resources to intelligently adjust to changing market conditions. SATO is publicly listed on the first section of Tokyo Stock Exchange in Japan. It has worldwide offices in the United States, Belgium, France, Germany, Spain, United Kingdom, Poland, Singapore, Malaysia, Australia, New Zealand, Thailand and China. For the fiscal year ended March 31, 2008, it reported revenues of US$767 million. Shipcom Wireless Inc. is the leading global provider of enterprise RFID, mobility, supply chain automation, and business process modeling solutions. It’s CATAMARAN framework easily allows the capture of enterprise critical RFID, bar code, or keyed data to enable back-end systems such as Siebel, SAP, Oracle and MFGPro to RFID, WAP, Windows CE and Palm OS based devices. Shipcom has several large Fortune 1000 referenceable customers worldwide such as Philips, Siemens, Shell, Johnson and Johnson, British America Tobacco, HP, Sempra Utilities, Waters Corporation, Amersham Health and Medtronic Minimed. For more information, please visit our website or call us at 281-558-5252. 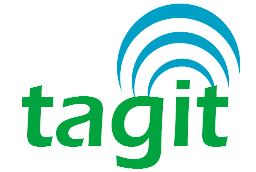 Tagit Solutions Inc. is an enterprise-software company providing a suite of applications & rapid deployment tools for simplifying adoption of Radio Frequency Identification (RFID) or Real Time Location Systems (RTLS) technologies in industrial facilities, corporate enterprises, government agencies and educational institutes. Xterprise Incorporated is a leader in RFID Item-Level enterprise-class inventory management software applications for the retail market. These highly scalable applications combine the Clarity™ application framework technology, process automation and lean supply chain practices, enterprise systems integration, SLA based support capability and RFID technology to deliver previously unachievable levels of inventory management value to their clients. The company has been honored with numerous awards and third party recognitions and its applications are deployed on 5 continents and over 20 countries. For additional information call us at +1-972-690-9460 ext. 300, email us at info@xterprise.com or visit us online at www.Xterprise.com.